Clint gets it. Former Military Doc that cares about his patients, is pragmatic about medicine and genuinely seems to be acut above the rest of the crowd. Clint gets it. Former Military Doc that cares about his patients, is pragmatic about medicine and genuinely seems to be a cut above the rest of the crowd. First visit with Dr Flanagan. I like the fact that we got straight to the reasons for my visit, Great senseof humor but also very professional. He is top notch so far. The staff that he works with are on the ball when it comes to patient relations. Great experience. By the way i hate going to the Dr.
First visit with Dr Flanagan. I like the fact that we got straight to the reasons for my visit, Great sense of humor but also very professional. He is top notchso far. The staff that he works with are on the ball when it comes to patient relations. Great experience. By the way i hate going to the Dr.
Dr. Flanagan was very professional, and very down to earth at the same time. He addressed all of my questions, and explained his plan of action to move forward with my health care concerns. My visit exceeded (by far) my expectations. Dr. Flanagan spent a lot of time with me truly getting to know me, details about my lifestyle, and what is most important to me. I kept rushing as I've been conditioned to dowith doctors and I found Dr. Flanagan slowing me down constantly to ask questions and ensure that he had a really good sense of who I am, what some of my health challenges are, my history, and how to best treat me. His bedside manner is one of the very best I have ever come across. In addition, his staff was very professional, courteous, and pleasant. While it would seem this should be a given in any professional environment, it has not been the experience I have had at other medical offices in the area. All around, I am very pleased that I found Dr. Flanagan and would highly recommend him as a doctor and his overall practice given the professionalism and kindness of his staff. I really appreciate Dr. Flammigan. He is very friendly and professional. Makes you feel very comfortable. Excellent, efficient and caring. LOVE the use of tech, makes pesky things like Dr. appts easy to schedule and get done. Genuinely invested in patient well-being! Overall a great visit. There was some wait time, but he apologized and spent a good amount of time with us. We went there for a well-visit check-up for our daughter and, even though he is not a pediatrician proper, hedoes have plenty experience (ER, family practice). He reviewed the information we brought in, asked some history, and examined our daughter. What was really nice is that, although she has been to many doctors and has anxiety with going to the doctor, she was really comfortable with Dr. Flanagan. I also appreciated the holistic approach to medicine, giving us alternatives to try out for her condition. Additionally, since we moved from out of state and our daughter has been followed by specialists, he is going to help us coordinate with the appropriate specialists in the area. This really helps remove the stress from trying to find specialists yourself when you're unfamiliar with the area. I will absolutely bring my daughter back to see Dr. Flanagan, as well as book appointments for the rest of my family. Dr. Flanagan is a great health caretaker. I like that his practice is personal and modern. His passion for health is expressed in mannerisms and conversations. I highly recommend experiencing the passion for better healthy living practices provided. Dr. Flanagan takes the time to listen. Never feel rushed. Knowledgeable. Glad we switched to this practice. As a working nurse in critical care for over 10 years, I know a good Doc when I meet one. Clint brings to the table an open mind coupled with great listening skills. I never feel rushed when discussing my concerns.Clint furthermore is not the kind of MD with the "take two of these and call me in the morning" philosophy. I sense he's vastly open to exploring all remedies in the process of resolving a patient's concern(s). His knowledge base and subsequent treatment modalities I feel are built upon addressing the entire human being, even if those modalities don't endorse western medicine. Thanks Dr. Clint for raising the bar in Family Practice Medicine! I've never had a doctor spend so much time listening to all the symptoms I'm experiencing + ask questions to understand them better. Not only did he take me/the symptoms seriously, he listened to what I thought was causing the problemsbased on experimentation. He is a functional medicine doctor, so he had lots of natural things I could try to help with underlying issues outside of medication. Not only is that cheaper, but it's not someone throwing different medication at you to "try" to mask a symptom. He takes a much more holistic approach than most primary care doctors. Along with that, he gave me some websites/books to read to start understanding the mental/emotional side of health. Plus the nurses (Karen and Danielle) were SO nice! 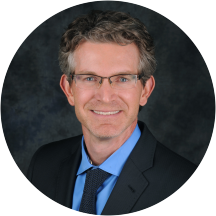 Dr. Flanagan is a transformational physician with a holistic approach to heath care. At 52 my health is at a lifetime high thanks to guidance from Dr Flanagan. Highly Recommended. Personable, friendly, deliberate. Was never rushed, we discussed much more in depth functional medicine than I have ever experienced. He is a very thorough physician that really cares for his patients and explains everything to you in plain English. Personable, good service. Dr. Flanagan seems like an excellent doctor who stresses preventive medicine, holistic, healthy lifestyles. Dr. Flannigan is a very knowledgeable and practical doctor. The first time I visited, I was having some troubles with sleeping and nausea. He referred me for a blood test and knew exactly what to look for: the problem was solvedquickly. Today I went in with a fear that I had torn my groin. Little to my knowledge, but lucky for me, Dr. Flannigan has plenty of experience with sports medicine and thus a vast understanding of these types of injuries. I have just recently started seeing him, but I will continue to do so gladly. Dr Flanagan always gives me the time I need, addresses my diagnostic and therapeutic concerns - and does it all with clear and helpful information. He always provides valuable direction and actionable specifics. Also, I greatly appreciatethat he has an eye on costs and works to provide ways to contain them along the way. I could not ask for a better experience than with Dr Flannagan. And by the way, I myself am a medical professional. I am a Physician Assistant and have been practicing medicine for nearly two decades. So, I see what he is doing both as a patient and from the other side - as a medical provider. I highly recommend him and his entire office staff. I am a new patient to Dr. Flanagan after 10+ years with another PMO/PPO service provider. I am extremely pleased with this change. Dr. Flanagan and his team treat me as an individual - not a number in the system aswas my prior experience. I would highly recommend Dr. Flanagan and wished I had made this change years ago. Clint was very thoughtful and thorough about my health, he listened to what I needed and made some great recommendations. Dr. Flannigan is always willing to listen to your views and thoughts and then suggest treatment accordingly. He understands most people do not live in a perfect world and recommends the best advice to receive the best results. Excellent primary care physician than is totally dialed-in with the latest advances in medical care, health monitoring and new models of care delivery. I am a medical professional personally, I give Clint a strong recommend. Dr. Flanagan and his staff are the best G.P. I have ever experienced. His knowledge is extensive and he takes the time to listen to your concerns and to treat the whole person. Highly recommend! I was impressed that I had the doctor's undivided attention for almost an hour! That never happens anymore, but that is the way that it should be! I have been searching for a doctor who will treat me holistically and notjust for an acute condition/illness once every other year. I finally found it with Dr. Flanagan and Nexterra. I truly believe that Dr. Flanagan has my best interests at heart and cares about me and my health in all areas of my life. I cannot say enough good things. I strongly recommend Nexterra and Dr. Flanagan to anyone. This was my second visit. Dr. Flanagan again was personable and understanding. I highly recommend! Seemed to be a very enthusiastic/helpful doctor from my limited experience. Spent more time with me than any other doctor I've seen before. Great doctor. Knowledgeable and thorough. Always very throughal and in depth knowledge allpied and relayed! VERY pleased with discussion today and course of action. Best doctor I have ever had by far. He actually cares about me and has exceptional knowledge of men's health issues, especially those of us over 40. I am honored to have access to such exceptional talent and such an obviouslycaring person. Seriously by far the best doctor I have ever seen. The best primary care provider anyone could ask for. Listens very well and was able to help me. I would recommend this doctor for my family members. Really appreciate this doc's data driven approach to treatment. Always a great experience. Dr Flanagan is the best doctor I ever had the good luck to be treated by. Thorough - listened to my concerned and offered various options for my treatment. Dr Flannigan is very hurried in his manner and while he clearly knows a lot I felt at times his manner was a bit condescending. He is difficult to follow in his recommendations. I felt a little confused about the medications. Great Dr. Very knowledgable, and kind. Great visit! Got all my questions answered,all my issues addressed. Dr. Flangan is the best Dr. I have ever had. He really cares about and ever patient he sees. Dr. Flanagan was excellent!! He was very easy to talk to, and eager to listen.